Air Conditioning & Heating Services | Manassas, VA | Trust Turner's Service Co. 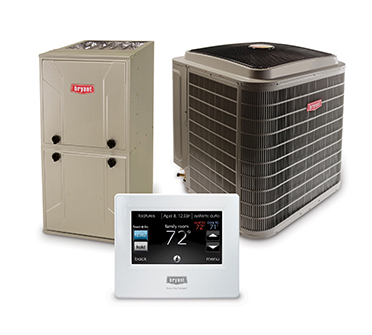 When you need the best heating and AC systems in Manassas, you can count on Turner’s Service Co.
For fast, reliable, honest, and high-quality work, contact the professionals from Turner’s Service Co.. Established in 1992, Turner’s Service Co. is built on a foundation of top-rated customer service. Your satisfaction is our main priority, and we achieve it through exacting standards of job performance. We handle a complete range of residential HVAC services, including heating installation, HVAC system replacement, air conditioning repair, and maintenance. Having earned a steadfast reputation with outstanding reviews online, Turner’s Service Co. continues to serve the best interests of our customers throughout Manassas, Haymarket, Gainesville, Ashburn, Reston, Woodbridge, Aldie, Bristow, Leesburg, Fairfax Station, Dumfries, Great Falls & Oakton, VA. Give us a call at Turner’s Service Co., and let us improve your year round comfort. "Absolute friendly and quick customer service"
"Professional level of work and fair competitive pricing"
"Very knowledgable, and provided excellent service"
"Office staff is always courteous and helpful"
Turner’s Service Co. is proud to be the only qualified Bryant Factory Authorized Heating & AC Dealer in Manassas, VA. This distinction is not handed out lightly but earned through rigorous standards of technical training, ethical business practices, and extremely high customer approval ratings. For our customers, this translates into industry-leading products and innovative features offered at exceptional prices. Give our team a call for high-quality heating & AC repairs, service & installations, or your plumbing needs! Our technicians remain current with evolving technology, custom design the ideal heating/cooling or air quality solution for your specific requirements, and adhere to strict installation and maintenance procedures. At Turner’s Service Co., we help you find convenient and affordable options to fulfill your Plumbing, Heating, and Air Conditioning needs. Give us a call and find out why your neighbors have given us a 4.9 rating online!